Ford Fiesta sedan could be more affordable soon as Ford India is seriously thinking of revising the price and introducing a variant with few features and less specifications. If this happens, Ford Fiesta will be starting at a low price and will be able to give a fight to Honda City that currently has a price tag starting at Rs 6.99 lakh ex-showroom. The price cut will be soon and is expected soon after the proposed tax on diesel cars in India. 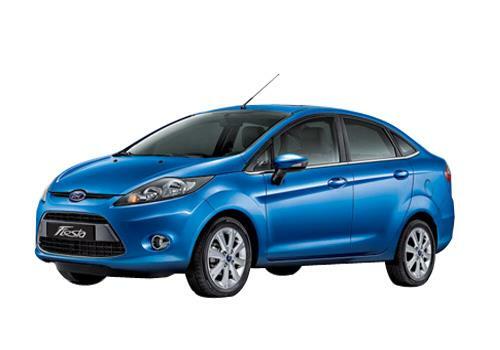 Currently the base variant of Ford Fiesta starts at Rs 8.23 lakh. With the lower spec model in, new Fiesta car will be able to have an entry level variant in the segment and will be able to fetch sales compared to Honda City, Fiat Linea, Hyundai Verna and Tata Manza. Notably, Ford seems to be focusing on this sedan and its other line up as it has launched Ford Fiesta Automatic yesterday at a price of Rs 8.99 lakh. However, after an intensive survey, the company has received a feedback is that it needs to have an entry level car in this segment. However, Ford Fiesta Classic is there at a price starting Rs 6.6 lakh but it lacks the looks and features of the all-new Fiesta. Nigel Wark, Ford India's sales & marketing director had admitted that Fiesta sedan lacks an entry level offering and Ford will be launching a Fiesta with low specification soon. Where Honda, Hyundai and Volkswagen all have lower priced variants available which dampen sales of Ford Fiesta and it would be wise for the American car maker to introduce the new low priced variant of Fiesta. Significantly, Ford is investing a lot in India and is in the process of doing whatever is possible to boost its car sales in India. Recently it has opened up 45 new showrooms in a day and soon after it had launched the Fiesta Automatic. Whereas the Ford Ecosport and the Ford B Max cars are slated to be launched soon.